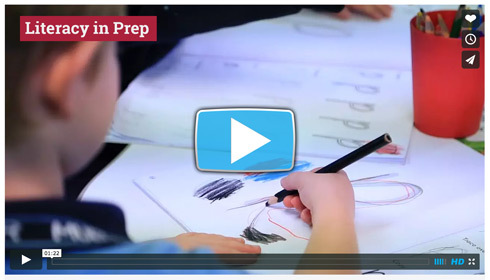 At Mueller, Prep is seen as one of the most important years in a child’s education. The quality of learning and nurturing during the early years is fundamental to success in later years. 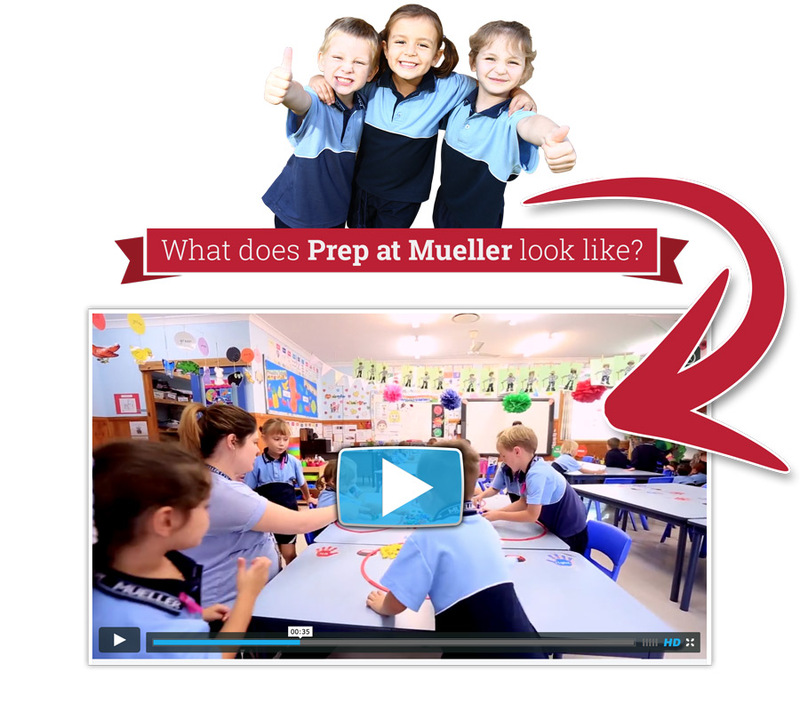 In order to provide a solid foundation for the future, Mueller Prep has a strong focus on building core literacy and numeracy skills through both structured and creative learning environments. Learning is hands-on, interactive and investigative to encourage the development of an inquiring mind. The Numeracy program has a strong emphasis on developing number concepts through oral language. It is hands-on, interactive, engaging and enthuses the students to grow in their love of learning. Our Prep team of teacher aides also supports the Literacy and Numeracy programs. Specially trained in leading small groups of Preppies, our teacher aides are an invaluable support to our Prep teachers and the education of the students. 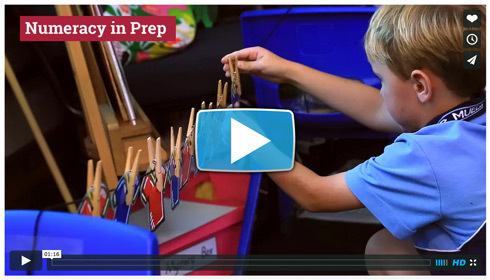 Preppies have a daily block of time dedicated to both literacy and numeracy. During the literacy sessions, students engage in a variety of activities designed to meet specific developmental needs. Learning experiences are carefully planned to grow students' love of learning and focus on the core skills of reading, writing and oral language. Each student's progress is closely monitored throughout the year. Data is collected through observations and more formally through reading assessments. This information is used to tailor the academic program to specific student needs. Socialisation is a crucial part of a Preppies' day. Learning and play are not done in isolation. 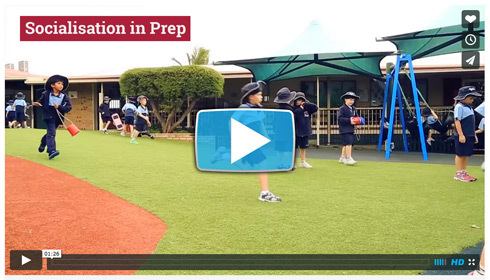 Preppies are taught, through direct instruction and modelling-skills to engage with others and enjoy time with other students. Teachers are committed to a safe playground and time is spent each day on social skills. Preppies feel safe, both in and out of the classroom to be themselves and take risks without fear of ridicule. 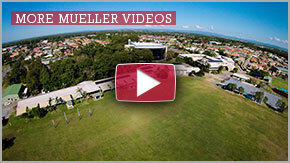 Mueller College is a Christian school. Preppies learn in a Christian environment, which encourages them to know that they are valued for who they are and that God loves each one of them. This is achieved through simple Bible stories, Christian songs, prayer and positive interactions. Mueller Preppies are introduced to specialist subjects, which continue throughout Primary School. Chinese, Physical Education, Music and Art are all taught by specialists in the area, giving students rich and varied experiences to develop their growing minds. 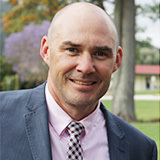 These specialist subjects are also aimed at developing the strengths of each child. Every child is different. 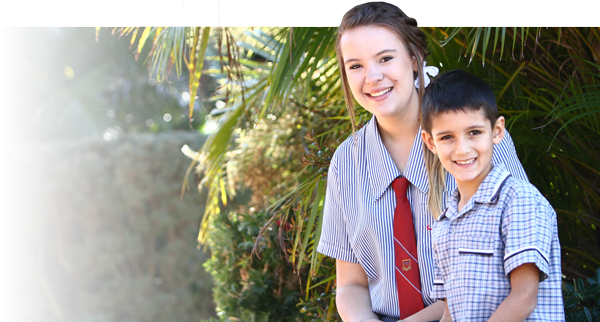 At Mueller, we recognise children need to be challenged by a range of hands-on learning experiences to develop an inquiring mind. Teachers are committed to developing each child through the use of a range of teaching strategies to cater for different learning styles. These include direct whole class teaching, flexible small groups and independent activities. While the Preppies have access to all the benefits of a large school, they are located in a quiet corner of the College in the Prep Centre. 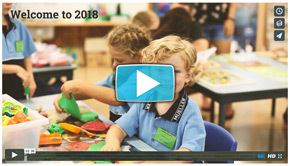 ENROLMENT INFO Click the button to the right to be taken to the Enrolment Information page which includes our enrolment information and fee structure. CONTACT US Click the button to the right to be taken to our contact details page.